This week has been really fun for me because I LOVE sale shopping! There are few things better than the feeling of finding a great piece at a great price. 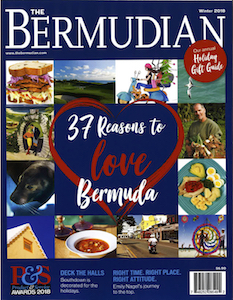 I took a peruse through town and found great staples and amazing pieces that can be worn for the next season and the ones to come after. These aren’t last season’s styles that will sit in the back of your wardrobe until next year, you can wear these now, all the way through to my next year’s winter sales list! 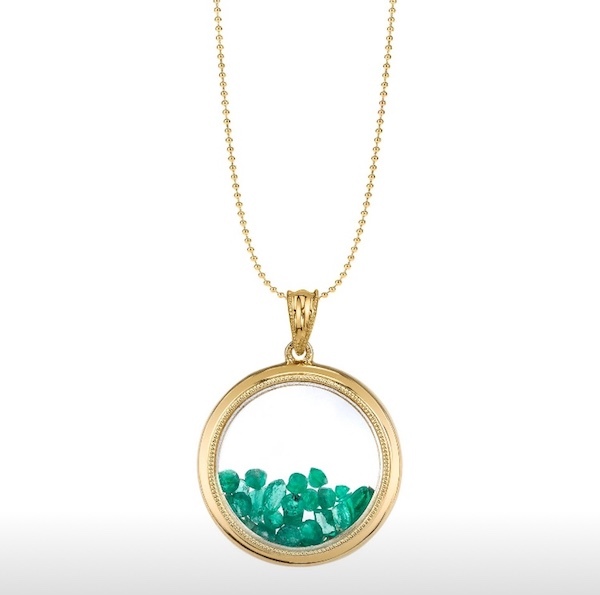 These beautiful pieces from Atelerie will take you through to summer. Rock this look to happy hour now, and in a few months pair the crop top with shorts. 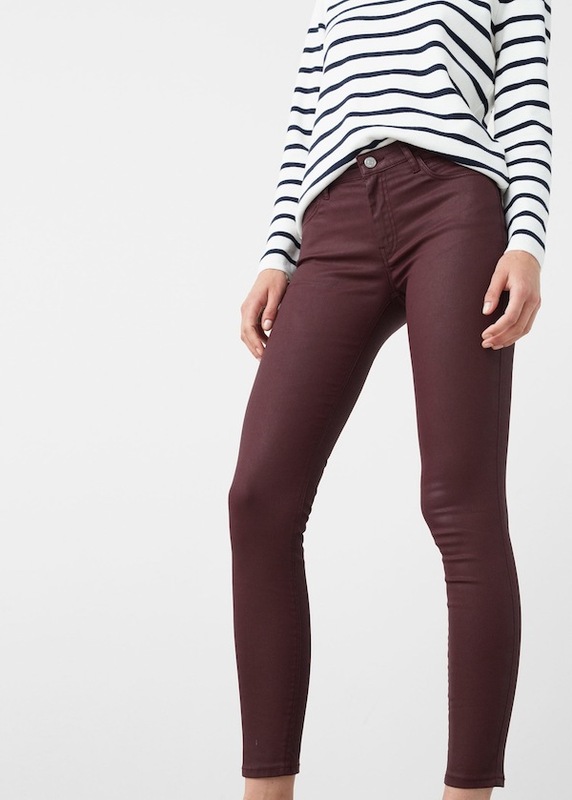 These skinny jeans are incredibly comfortable and are wardrobe staple that you can dress up or dress down for years to come. The bag, what can I say – how cute is it?! And you can never go wrong with a little black bag. A good party dress never goes out of style and you’ll be sure to make a statement for seasons to come in this metallic knit halter dress by Bebe from A.S. Cooper, for 50% off: $134. A good pair of coloured jeans will take you through these colder winter months and straight into spring with a floral cami. Not to mention they’re the perfect fall colour for when sweater season rolls around again! 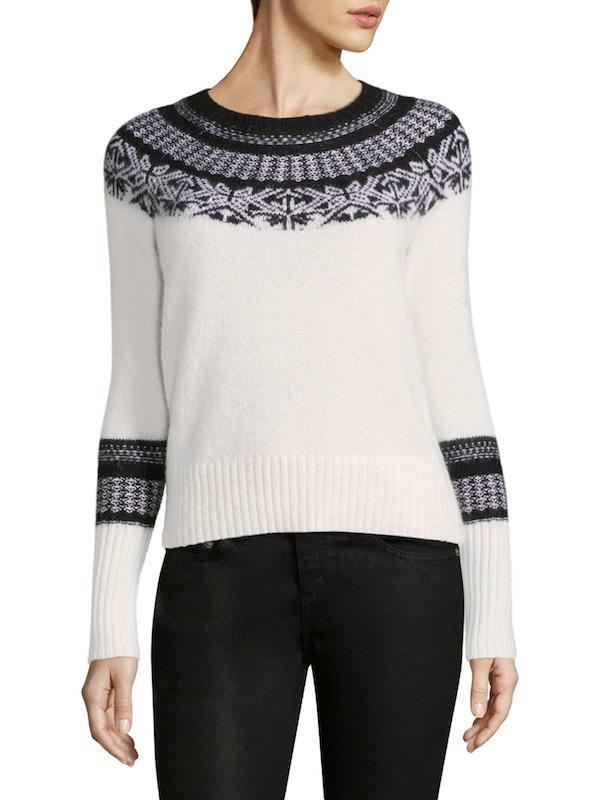 $59.90 (50% off price) from Mango at Gibbons Company. Booties are the perfect shoe to wear with jeans when the north wind blows or with a skirt for when the sun shines. 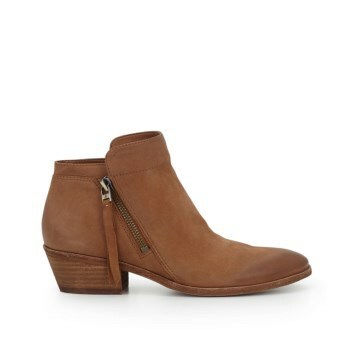 These Sam Edelman booties are the perfect shade of neutral! $164.95 (30% off) from Trends. I’m a sneaker girl at heart and I can see myself wearing these metallic sneakers all year round. 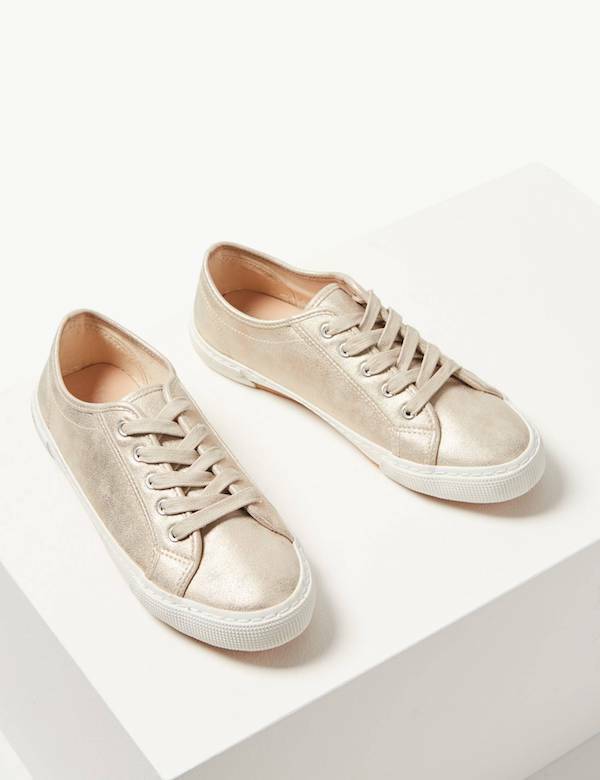 From dashing around town, grabbing brunch with the girls, or going sailing, these fun and comfortable metallic sneakers from Marks and Spencer will get heavy rotation in your wardrobe, $55 (50% off). We’re bound to get more wind and rain through winter and spring and a good jacket is a worthy investment. 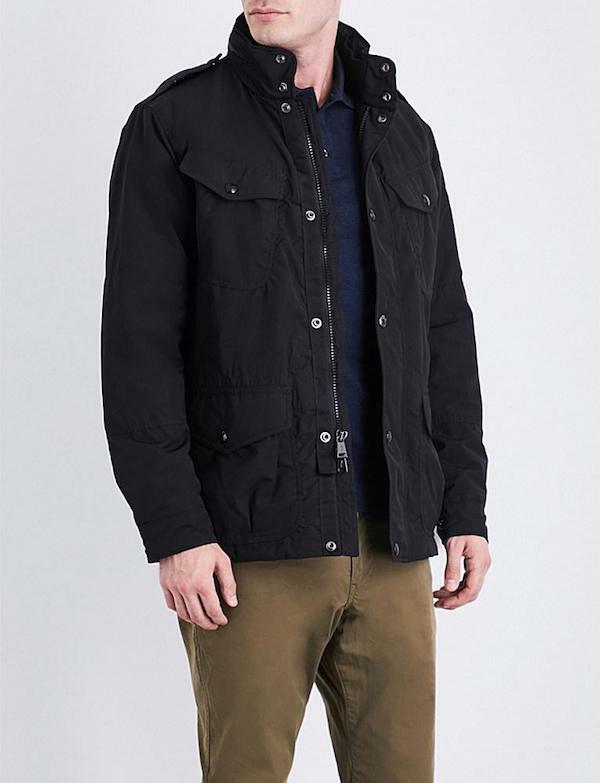 This men’s black jacket by Polo Ralph Lauren is a great staple piece any man can wear for years to come so snag it now at an incredible 50% off from A.S. Cooper MAN, $398. 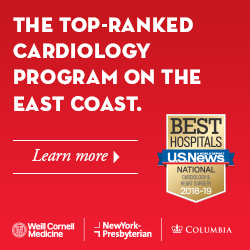 Seasons are cyclical and I love when I can find great deals for not just the season that has past but also the upcoming season. At Vineyard Vines I hit the jackpot with this sumptuous cashmere sweater that will carry me through these cold days and it’s priced at $168, which is 75% off! I know, this isn’t a piece of clothing, but I need to share this deal with you. 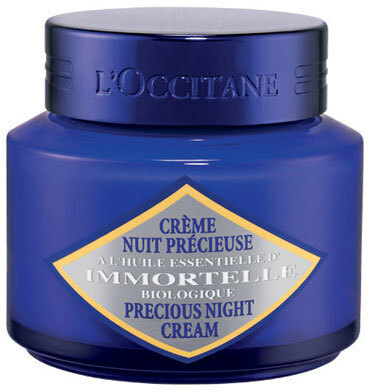 I squealed when I found this L’Occitane en Provence Immortalle Night Cream at Gibbons because cosmetics very rarely go on sale. I was in the market for a new night cream and my face has been thanking me every night! A glowing face is in style every season, $73 (30% off).